In 2001, my husband at the time was deployed to the Middle East and I was anxious, frustrated and a bit lost. It felt like my life was on hold. I had a good job, but it was not fulfilling. I was so damn thirsty for some perspective, a vision, a plan! I wanted to figure out what’s next – and I had no idea where to start. working for them. I was no different. During the coaching process, I realized how much I craved meaningful change and I began to revamp my life. 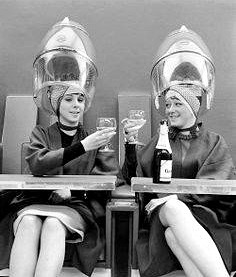 I cut back at work and pursued a B.S. in Health Psychology at Bastyr University. 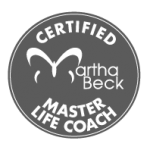 I launched my business, Damn Thirsty Coaching, and became a Master Certified Martha Beck Coach. Once I had the tools to navigate change and efficiently solve problems, I wanted to help other people like me. I didn’t stop there. There were other dreams to pursue. 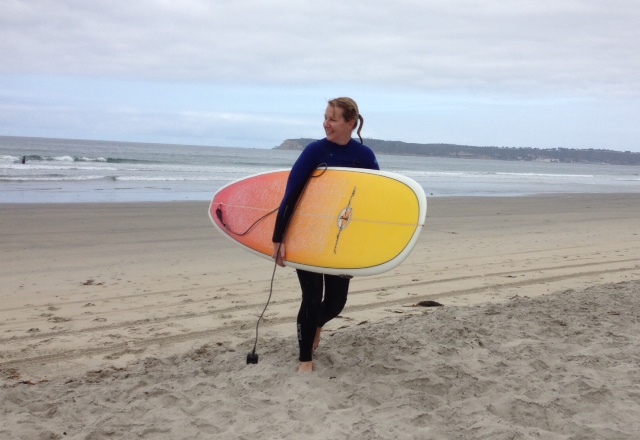 After 26 years in Seattle, I moved to San Diego. 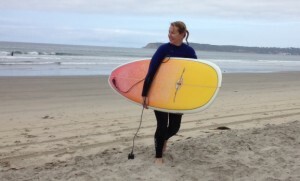 I began to surf, bike, skydive and do yoga on the beach. I sought new adventures – a South African safari, zip-lining in Costa Rica, cruising the Rhine River and a surf safari in Mexico. On the business side, I started coaching executives at Starbucks, Microsoft, Boeing, Jack in the Box and luxury travel companies. Prior to launching Damn Thirsty Coaching in 2003, I worked for over 14 years with senior executives at industry-leading companies. Before entering the corporate world, I studied Aeronautical Science at Embry-Riddle Aeronautical University and earned my private pilot license. The poem that made me thirsty. Years ago a friend sent me this poem about a fish riding a camel in the desert. Talk about lost! I named my company Damn Thirsty because I love to help disoriented people get back to where they are meant to be.